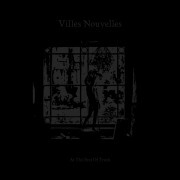 Villes Nouvelles is a cold wave / post-punk band, formed in November 2010 in Paris, France by Anne F. (all lyrics, vocals, bass, guitar, synths) & Sébastien M. (synths, drums, noises). Originally named Chambre Froide, the band has released their debut EP “Smiling Faces” in June 2012 and the following year, in December 2013, the LP “Nothing But Puppets”. “At The End Of Truth” is their 3rd album.